Cloud Computing is a hot research topic since year 2007. Hadoop, HBase and Hive are the key components of many cloud computing infrastructures. Cloudera is the first company to provide technical support of Hadoop. In this workshop, we invite Christophe Bisciglia to share the experience of how to build cloud services with Hadoop and Cloudera's open source business model – training and certification. 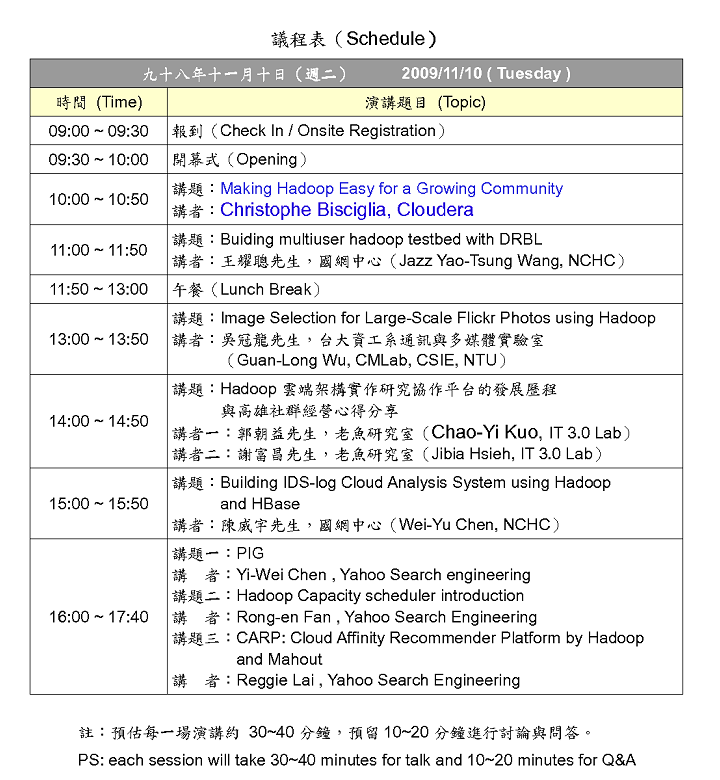 Besides, we also invite local developers of Taiwan Hadoop communities to share their projects.